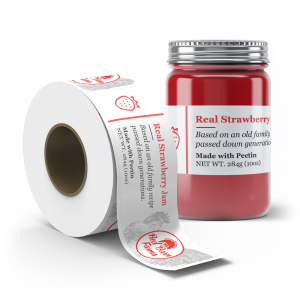 Put your branding on a roll with our custom Roll Labels. This is the most common label stock, used for indoor applications where moisture resistance is not required. 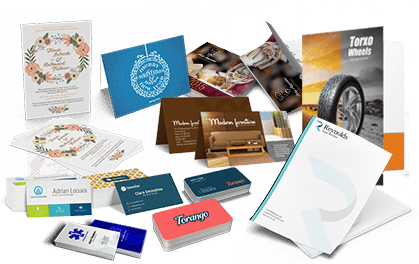 The bright white paper and semi gloss surface are ideal for colour reproduction, and the weight of the paper reduces tearing pr wrinkling during application. 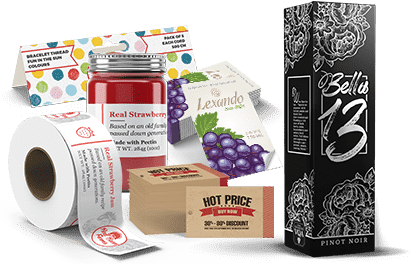 The bright white plastic substrate of this stock is ideal for labels on packaging or bottles. The polypropylene is waterproof and can be used for applications where condensation or spillage are of particular concern. This option is ideal for art ranging from bright, vibrant hues to more subtle, delicate colours. The crystal clear plastic substrate of this stock is ideal for labels on clear packaging or bottles. The polypropylene is waterproof and can be used for applications where condensation or spillage are of particular concern. Light colours should be avoided with this stock as they appear faint and hard to read, unless white ink is also used. This is a rugged and durable stock that can be used for outdoor applications where permanence and longevity are of primary concern. This stock is commonly used for bumper stickers, warning labels, and other long lasting messages. UV coating can be added to increase resistance to sunlight and wear and tear. A silver metallic stock is a unique and more cost effective option for getting a foil-like finish. Any image printed over the silver looks like it was foil-stamped, meaning that a label can have many different colours of metallic areas without having to foil each in a different colour. Opaque ink can also be employed to add matte areas as well. This paper is suitable for writing and dry indoor applications. You can use this label on many products such as box labels, file folders, product containers and other similar purposes. The 4 main process colours, plus white ink, will be used to print on the front side only of the selected There will be no printing on the back of the piece of any colour, including black. Colours other than CMYK that are used in your design file will automatically be converted. For optimum results and less variances from screen to print, please ensure your artwork is created in CMYK. If you are using a pre-designed template, you do not have to worry about the colours being off except for any elements you add to the template. Elements that are to be printed in white ink should be included as 100% black in a separate file. White ink only will be used to print on the front side only of the selected paper. There will be no printing on the back of the piece of any colour, including black. Your artwork should be designed with all elements created as 100% black. If you are using a pre-designed template, you do not have to worry about the colours being off except for any elements you add to the template. Each roll will have approximately 50 labels. Some rolls may have one more or one fewer labels, as the rolls are counted and cut during the run. Each roll will have approximately 100 labels. Some rolls may have one more or one fewer labels, as the rolls are counted and cut during the run. Each roll will have approximately 250 labels. Some rolls may have one more or one fewer labels, as the rolls are counted and cut during the run. Each roll will have approximately 500 labels. Some rolls may have one more or one fewer labels, as the rolls are counted and cut during the run. Each roll will have approximately 1000 labels. Some rolls may have one more or one fewer labels, as the rolls are counted and cut during the run. 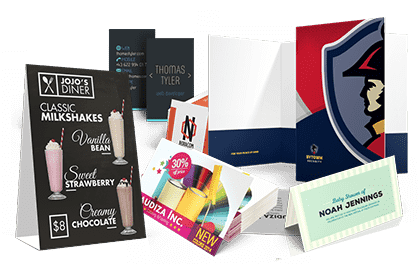 No specific requirements are needed for bindery. Choose this option if it does not matter which edge of the label is dispensed first. If the labels are being applied by hand, the unwind direction will not be important. Choose this option if the labels will be applied with a labeling machine and the top edge of the label needs to come off the roll before the rest of the label. This is also known as unwind code #1. If a co-packer is applying the labels, their requirments should be determined prior to the order being placed. Choose this option if the labels will be applied with a labeling machine and the bottom edge of the label needs to come off the roll before the rest of the label. This is also known as unwind code #2. If a co-packer is applying the labels, their requirements should be determined prior to the order being placed. Choose this option if the labels will be applied with a labeling machine and the right edge of the label needs to come off the roll before the rest of the label. This is also known as unwind code #3. If a co-packer is applying the labels, their requirments should be determined prior to the order being placed. Choose this option if the labels will be applied with a labeling machine and the left edge of the label needs to come off the roll before the rest of the label. This is also known as unwind code #4. If a co-packer is applying the labels, their requirments should be determined prior to the order being placed. Establish your brand with uniquely designed and customized Roll Labels. Labels are not only essential in ensuring a consistent brand identity and identifying products, but they often contain important details such as product descriptions, instructions, ingredients and typically carry persuasive marketing messages. 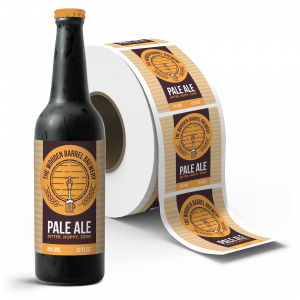 Our Roll Labels come on 3" core to fit most label application machines, and are also convenient for hand application as well.